← Chapter 36: Alexander Schools, Inc.
Chapter 37: What will Become of the Union Mills Historic School Bldg? Where’s the Love? A book was printed with essays and memories of many students describing the happy times at Round Hill Academy. Elizabeth Rucker Castles wrote, “For some years after the school closed as Round Hill Academy in 1925 and the name was changed to Alexander Schools, Inc., no reunion of the faculty and students was held.” Then Worth W. Nanney organized a picnic on the grounds in 1939. There wasn’t another RHA/ASI reunion until July 25, 1965, when Harvey Nanney served as chairman. A crowd of 325 was served lunch and Ms. Castles estimated the attendance was greater. One student drove all the way from San Diego but had a heart attack and could not attend. He had to wait for the next reunion in 1969. This written history of the school is preserved on location and includes an unusual report about banking. During the 40 years of banking service in Rutherford County, Union Trust Company was frequently under the supervision of Union Mills-born bankers. In all three offices. Seven of these managers attended Round Hill Academy and three graduated from Alexander. “Mr. J. Worth Morgan, class of 1917, was with the Forest City office for 33 years. 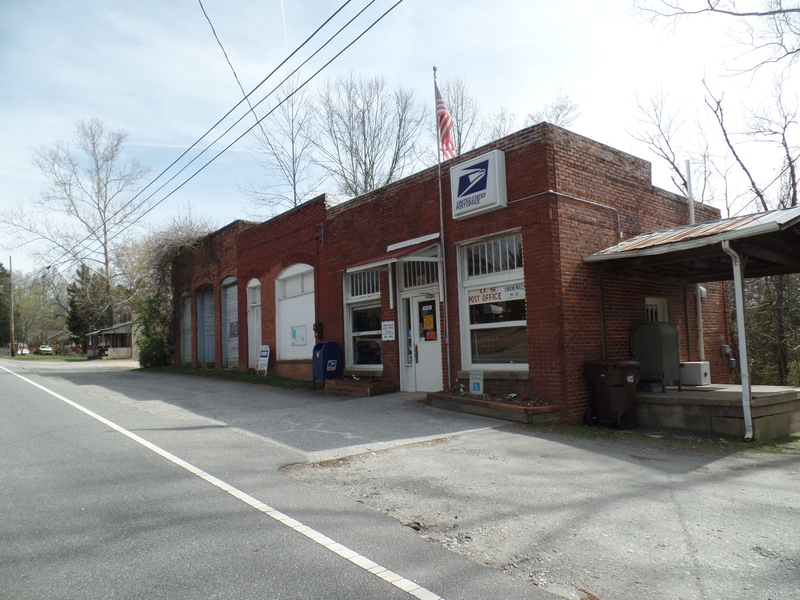 Worth Nanney was manager of the Rutherfordton office from the date of its establishment” in 1930 until his death in 1942. For several years later his sons ran the office, Hugh until he got tangled up in WWII and then Mayor Louis W. Nanney stepped in to help his brother. Mr. Morgan recorded the names of many of the businesses he remembered in downtown Union Mills when the school was young: Nanney & Morris (later J.D. Morris & Co), Tate & Deck (later W.C. Tate & Co), G.W. Bryant & Co., W.H. Harrison, C.S. Hemphill, J.G. Morris, W.W. Nanney, C.M. Lewis, J.H. Baker, T.A. Bridges, J.L. Barnes, H.A. Barnes, G.W. Morgan (later G.W. Morgan & Son), Claude L. Simpson, H.A. Belk & Co, J.R. Scoggin advertised Board, Lodging and Livery Accommodations, W.F. Flack, General Insurance, Wagons and Farm Machinery, W.G. Scoggin, Insurance, Peoples Bank, J.P. Guffey Milling Co., and C.F. 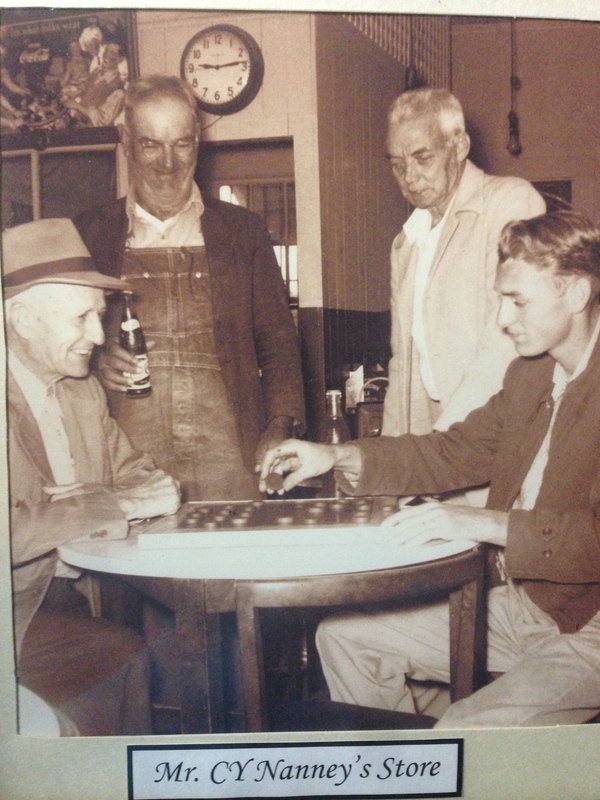 Keeter and Sam Mashburn who operated blacksmith shops. C.Y. Nanney, ASI class of 1932, was the popular barber of that day and operated a handy-pantry kind of store. In the building where the mercantile firm of W.C. Tate operated on the first floor, The Lodge of the Woodmen of the World had their headquarters on the second floor. All these buildings are gone or repurposed. Commercial activity moved to larger towns. 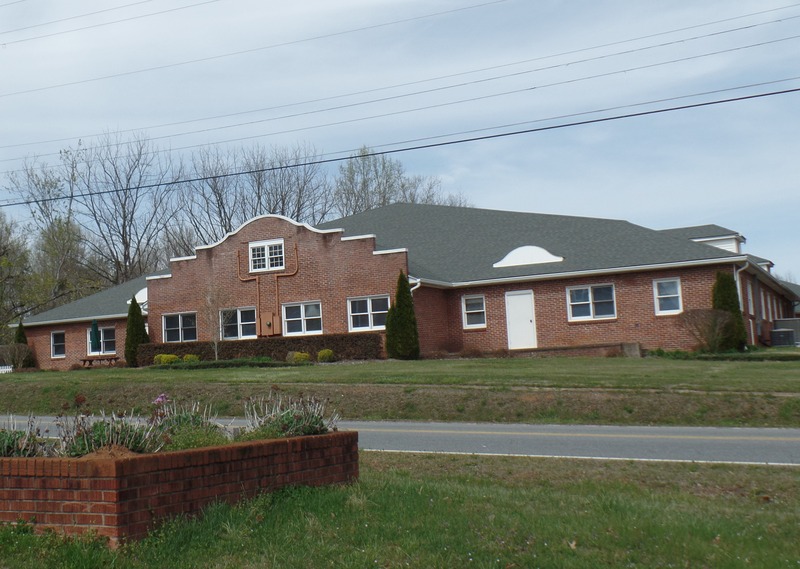 The Union Mills Community Club was very active from 1939 to the 1960’s, and received many awards in the Western North Carolina Rural Development Contests. The Roadside Beautification participation encouraged the citizenry to keep their yards neatly trimmed and colorful. In 1960, 119 families took part in 25 community projects, and Union Mills was named the top rural community in Western North Carolina. There was a lot of pride in this village. A student recreation center was constructed in 1975 across from the dining hall. At this time there were fourteen buildings on thirty-seven acres plus a swimming pool, tennis courts and athletic field. Four buildings were used for the students’ living quarters. The Home Ec building was the oldest building, the Superintendent’s house was the second oldest. In 2000 the community bought their school back for $1.00. They got two buildings. Everything else was sold to CIT, Christian Intercultural Training who is using or renting out the other old campus buildings. The cost of the water and septic is shared with Union Mills Learning Center, a non-profit striving to breathe new life into a landmark. I was given a tour of the historic administration building by Justin Conner, president of the Learning Center. His family is related to the Halls in Montford Cove, and his father was a graduate of Alexander. Justin went through ASI middle school and transferred to Central HS. He has stories of his own and is actively committed to the restoration of the administration building built in 1946. On the old stage every Friday night from March to December, a variety of vocal groups perform for donations to the preservation of North Carolina history. The auditorium seats 300. A classroom is set up to sell dinner. This week on April 17th is a Ham Supper with green beans, corn, deviled eggs, roll, dessert, and drink for $7.00! Best deal in the area. Come on down to Hudlow Road about a mile off Hiway 221 where the sign points to Union Mills close to the county line and Nanney Town. And the first Saturday of the month is an all-you-can-eat breakfast for $6.00. The fundraising doesn’t stop there. It can’t. The windows now are $1,000 each to replace, because of the odd shape. But if the exterior is not taken care of, the building might go the way of another school in the county that was abandoned for ten years and water damage made it unsalvageable. Look for the third Bluegrass and Arts Festival on the grounds the weekend of May 15 and 16. Tickets are $10 in advance and $12 at the door. Seven hundred showed up last year. This year the bands scheduled to perform are David Holt, Mountain Faith, and Darin & Brooke Aldridge. The Learning Center is also leasing refurbished classrooms to local businesses that don’t need a storefront downtown. For example, a pyrographer and a photographer have work space, along with a small Christian school, an appropriate fulfillment of the building’s historical purpose. One room at a time, the rescue is taking place, but it is costly. This entry was posted in Nanney Saga, Setting and tagged Alexander Schools Inc, Round Hill Academy, Union Mills Bluegrass, Union Mills Learning Center. Bookmark the permalink. 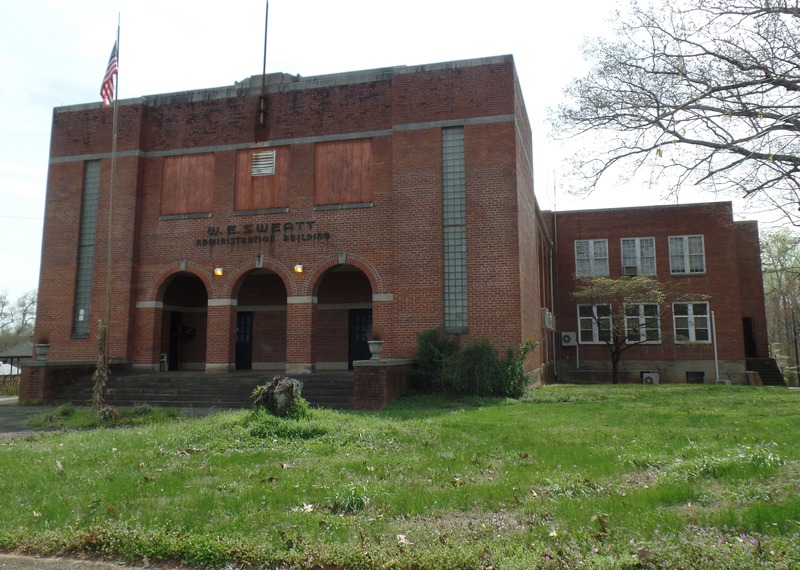 3 Responses to Chapter 37: What will Become of the Union Mills Historic School Bldg? Where’s the Love? I’m so glad efforts are being made to save it. I went to a three-room school house in 2nd grade. It was closed the next year and left empty for many years. Thankfully, the school system restored it and it’s used as office space now. Welcome Luke, I hope you hear from some of your former classmates.